It was a typically nasty Beijing afternoon in August. Millions of Chinese people were hard at it, chasing the next Yuan through the oppressive summer heat and choking pollution of Beijing’s Chaoyang District. As I drove to a meeting with Jim, the company’s China consultant, taxis and filthy black German sedans darted across lanes and drove on the shoulder in a frantic, futile–and very Chinese–game of hurry-up and wait on the gridlocked Third Ring road. Jim wasn’t advocating corruption, though in the twenty years he’d spent helping businesses like mine survive in China, he’d seen enough to write two very insightful, successful books targeted at Westerners seeking to do business there. Jim was merely pointing out that in China, anyone who has failed spectacularly, such as the developer of that unfinished building, likely didn’t have the right relationships with the right government officials–relationships that usually arise from family connections and are carefully nurtured over many years by acts of mutual assistance. The assistance doesn’t always involve cash. So you need a construction loan or a building permit? Well, you might be pleased to learn that the official issuing building permits needs help getting his one child into a good American university. Perhaps you can help. Perhaps that loan or permit isn’t going to take a year to obtain. Is that corruption? Hmm, you say. That sounds, well, kind of like Chicago. So it probably is illegal. So let’s say you’ve been sent by your company to live in China and start a company. Before you shipped out you probably met with the lawyers. They warned you, in typically obscure language and solemn tones, about the U.S. Foreign Corrupt Practices Act (FCPA). This law makes it a Federal criminal offense to bribe foreign government officials–something that, if not strictly legal, is certainly an accepted business practice in China and much of the developing world. The FCPA and its more recent U.K. sister, the Bribery Act, are both well-intentioned. Accepted political and economic research, led by Yale’s Prof. Rose-Ackerman, demonstrates how corruption hurts a country. It is politically corrosive, growth-defeating and economically inefficient. But what if that is how business is done there? Critics of these laws say they put U.S. and U.K. business at a competitive disadvantage. Whatever your position, there is no doubt in my mind that the main flaw of the FCPA is its oh-so-American assumption that other countries have (or at least ought to have) economic and political systems that look like ours. In the case of China, nothing could be further from the truth. The Western sense that government officials are supposed to serve the people is still developing in China. While a government job in the U.S. is nothing particularly special, in China such a job carries prestige and power. When a Chinese official controls access to a necessary government franchise such as a license or permit, it gives that official the ability to charge “rents” that a private business person can only envy. It is not unusual, for example, for a local government official responsible for issuing building permits to also own a thriving family construction business. Does that family business benefit from the government connection? Or course it does. In fact, if the official didn’t use the power of office for his or her own benefit, he or she would likely be distrusted by peers. In the West, bright lines separate the private and public sectors. This is not true in China or in much of the developing world. The boundaries are blurred to the point of legal irrelevance. In China the officials and their families are in business in all places and at all levels. The higher up you go, the more attractive the business opportunities. So how does an American executive walk into the midst of this ancient system and succeed without getting himself and his company in trouble? Well, in an ironic inversion of the Chinese model (where your money is made whild in government), the U.S. officials charged with enforcing our anti-bribery laws make their fortunes after government service. 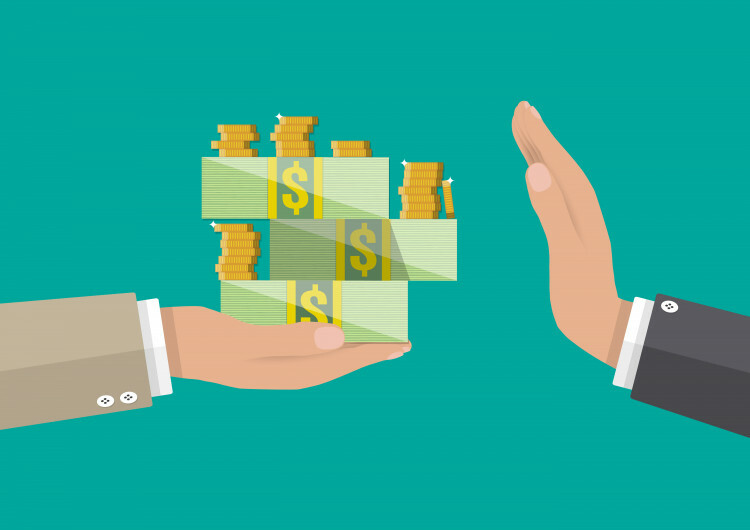 Department of Justice and Security and Exchange Commission lawyers normally spend a few years enforcing the FCPA at government-level pay before jumping into lucrative private practice positions. Once there, according to the Wall Street Journal, they are happy to help American companies perform costly global compliance audits to stave off possible prosecution. “It’s one of the few … … crown-jewel practices right now”, says Dan Binstock, a Washington-based legal recruiter at Garrison & Sisson Inc., quoted in the article. All this high priced lawyering is not surprising when you consider that under the FCPA, even the CEO of a company can be found personally liable for the acts of a company employee thousands of miles away and several levels down in the company chain of command. And under the newer and stricter U.K. Bribery Act, proof of intent is not even required. Recent years have seen several high profile FCPA investigations. Subsidiaries of Tyco International were found to have arranged illicit payments to foreign officials in more than a dozen countries. Late last year the company agreed to pay $26 million to settle the SEC’s charges and resolve a criminal matter with the Justice Department. Meanwhile, the Wall Street Journal reports that Wal-Mart pumped $51 million into an internal bribery investigation of its Mexico operations, and still remains the subject of some significant government scrutiny. So what are the main take-aways? Let’s deal with the easy part first. Yes, your company needs to have an active anti-corruption training program for everyone working overseas and everyone domestically who touches products, customers and financial reports from developing markets. The same goes for the senior people you send on overseas trips to check up on things. You may even want to re-consider the recent trend away from sending expats overseas and towards hiring native country managers. While hiring a local to run your China operation may be good from the standpoint of in-country relations, you’ll need a very strong, non-native finance person in place to keep your management out of trouble. And now it’s not just the U.S. federal authorities that will be looking at you. China has started prosecuting corruption by non-Chinese multinational corporations, as the global pharmaceutical company Glaxo Smith Kline recently learned. Second, you may want to re-think merely extending your company’s existing corporate governance structure abroad, since it may unnecessarily subject your entire chain of command to FCPA liability. Your lawyers would be delighted to share creative–and perfectly legal–ideas for Chinese capitalization, licensing and corporate governance. If they aren’t, have them call me. Now for the harder part. The way we teach our American business leaders to avoid FCPA trouble comes in one of two, relatively limited, Western flavors: compliance and ethics. The compliance approach is favored by lawyers, accountants and other absolutist types (of which I’m one) and works by informing those concerned of what the law is and how far they can go before breaking it. The ethical approach, taught in some business schools (mine included), gets us a little closer to our goal because it trains business leaders to think in terms of right and wrong (as accretive, of course, to knowledge of effective legal and financial compliance). Unfortunately, neither the compliance nor the ethical approaches completely close the loop in places like China. The reason FCPA compliance is likely to remain an expensive game of whack-a-mole for American global companies is that what we in the West call corruption is in fact part of the ancient commercial fabric of China and many developing countries. The issue isn’t legal and it certainly isn’t ethical. It’s cultural. Easterners think differently than Westerners. Among other stark differences in perception and processing, Easterners are uncomfortable with absolutes and universals, such as abstract legal rules that fail to take into account surrounding circumstances and relationships. Prof. Nisbett, in his ground-breaking book, The Geography of Thought, reminds Americans (and most English-speaking Westerners) that they are the product of a unitary system of ethical values tracing back to the Greeks. “We prefer to live by abstract principles and like to believe these principles are applicable to everyone. To set aside universal rules in order to accommodate particular cases seems immoral to the Westerner. To insist on the same rules for every case can seem at best, obtuse and rigid to the Easterner, and at worst cruel. “This [Western] self–this bounded, impermeable free agent–can move from group to group and setting to setting without significant alteration. But for the Easterner (and for many other peoples to one degree or another), the person is connected, fluid and conditional [emphasis added]. . . It seems that culture is both the problem and the solution for your business in China. Let me explain. The Chinese are collectivists, as are people from many countries where corruption is a problem. Americans are off-the-scale individualists, according to Hofstede in his seminal study, Culture’s Consequences. Tell an individualist American about the evils of corruption and you may modify his behavior. If you appeal to his moral sense you may even move the dial on his values. But nothing your company does is likely to impact his identity. Those days–if they ever did exist in our culture–have gone the way of blue suits and red ties at IBM. Like all collectivists, the Chinese derive much of their identity from the collectives in which they hold membership. So here is the point: if you want to prevent your Chinese or other collectivist employees from engaging in illegal activity, don’t lecture them on some abstract American law. Rather, envelop them in a corporate system that (1) behaves like a family–the only system they really understand and respect; (2) expresses zero tolerance for corruption and other illegal activity; and (here’s the clincher) (3) lives and demonstrates those values from the top to the bottom of the company. You see, to a Westerner, the violation of a company rule may have legal, even ethical, consequences. But it won’t impact their Western individualist identity–Nisbett’s “bounded, impermeable free agent.” But if you can fight off the urge to cut corners and stay true to your Chinese cultural ethos, you will have done more than simply influence the behavior of your Chinese workers. You will have formed their identity as members of your company. You’ll be rewarded with committed, reliable, legally-compliant people.